John W. Foster received his BS from the Philadelphia College of Pharmacy and Science (now the University of the Sciences in Philadelphia) and his PhD from Hahnemann University (now Drexel University School of Medicine), also in Philadelphia, where he worked with Albert G. Moat. After postdoctoral work at Georgetown University, he joined the Marshall University School of Medicine in West Virginia. He is currently teaching in the Department of Microbiology and Immunology at the University of South Alabama College of Medicine in Mobile, Alabama. Dr. Foster has coauthored three editions of the textbook Microbial Physiology and has published more than 100 journal articles describing the physiology and genetics of microbial stress responses. 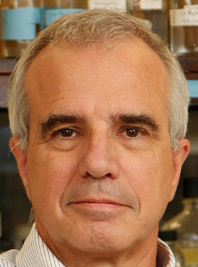 He has served as Chair of the Microbial Physiology and Metabolism division of the American Society for Microbiology and as a member of the editorial advisory board of the journal Molecular Microbiology.